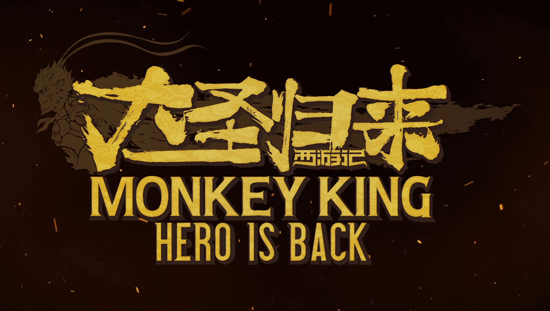 Basing on the 2015 animated movie of the same name which broke records as the highest-grossing animated film in China at the time of release with a box office of $153 million, Monkey King: Hero Is Back depicts the journey shared by three main characters: Monkey King, Pigsy and the child character, Liu Jiang. These figures fight many different monsters using varied skills and magic alongside their cooperation and shared individual wisdom. As the journey continues, the relationships among three characters are greatly enhanced, and they find the missing puzzles of their own individual lives. Monkey King: Hero Is Back is currently being shown at ChinaJoy 2018 through August 6 at the PlayStation booth with players encountering powerful enemies in a 15-minute demo. The demo’s mission is to conquer all challenges and reach the save point while protecting little Liu Jiang. Co-presented by Oasis Games and Sony Interactive Entertainment Japan Asia, developed by Hexa Drive, Monkey King: Hero Is Back will be released for PlayStation 4 in early 2019. Monkey King: Hero Is Back, is scheduled to release first in China for PlayStation 4 in early 2019, with other regions to follow at a later date. The game, which can be viewed in today’s newly released game trailer and key art, is playable for the first time at ChinaJoy 2018 in the PlayStation booth through August 6.